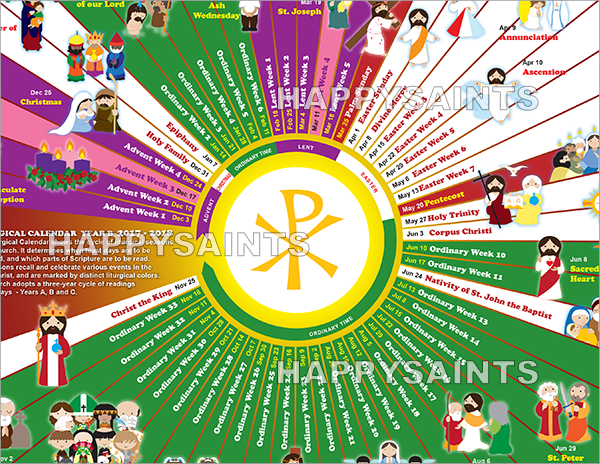 Happy Saints: Happy Saints Liturgical Calendar now available in large size prints up to 50x40! Happy Saints Liturgical Calendar now available in large size prints up to 50x40! The Happy Saints Liturgical Calendar 2018 was previously only available in 18in x 12in prints or PDF. I have requests to make the calendar available in larger sizes. You can now order the calendar in 20in x16in, 30in x 24in, 40in x 32in or even a mega 50in x40in! Backup your Happy Saints eBooks! Happy Feast of Our Lady of the Rosary!